Almost four years to the day since we started making music together, we have decided to stop. It wasn’t an easy decision, but we feel like the time has come to say our goodbyes. 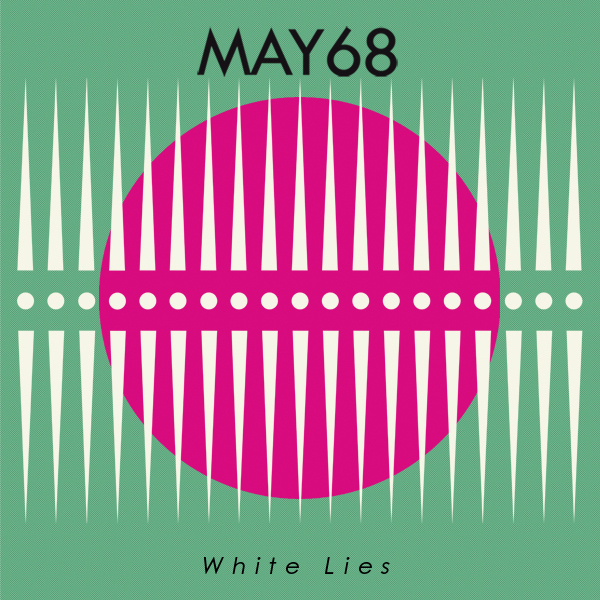 However sad we all are, we would like to celebrate MAY68 all together one more time this Saturday at the ‘White Lies’ single launch and invite everyone to join us at Islington Mill for a last dance. You have been truly wonderful over the years and you all deserve to be thanked for the support and love that helped us becoming the band that we are. So thank you very very very much. Our new single ‘White Lies’ is out now – go here to download it online. Check out this brilliant remix from fellow Manchester based Patterns, we’re really feeling it in a big way. Also don’t forget to get your tickets for our single launch party at Islington Mill, Salford. We have a bunch of new songs to play so we’re super excited about this one. Our good friends at Discofutura gave away this exclusive remix earlier this week from Brazilian duo Tape Warm. We love it, big chilled house vibes. Grab yourself a piece of the action here. It is time to reveal the winners of our remix competition. We are pleased to announce that The Kill Van Kulls came up with a belting rework of our new single “White Lies”. It’s a blissed out sun drenched chill wave take on the original which seems a perfect way to wave goodbye to the summer months that have just left us. The Kill Van Kulls are now getting stuck in to some serious album sessions so expect to hear good things from them soon. Thanks to everyone who got involved and sent us their remixes, the standard was really high, we’ll be in touch with a few of you soon via email. November 5th sees us celebrating the release of our new single ‘White Lies’ with a special late night show at Islington Mill, Salford. For anyone who’s not been before The Mill is an amazing space with promoters Off With Their Heads holding down some party filled shows. The night will of course be filled with a bonfire & fireworks before the bands and we’re going to be debuting some new songs which we’ve been working on while recording the album, as well as selling some t-shirts, vinyls & cds. We are so excited about it, we can’t wait. Tickets are a mere £3 advance so make sure you grab yours early, we will be on stage some time after midnight so be prepared for a late one. White Lies – Released 17th October on Black Duck Records. We are thrilled to announce that our next single ‘White Lies’ will be released in October through Black Duck Records. The release will be celebrated with a single launch party at Islington Mill, Manchester on the 5th of November, a date sure to go off with a bang, as well as a string of UK dates TBA.